When you're knocking on the door of the music industry, the burning question most likely in your mind is: What goes on a competitive music industry resume? What exactly are employers in the music business looking for when they interview job candidates? What kind of background do I need to get a job in the music industry? All fair questions. Unfortunately, the music industry doesn't have as clear a path to employment as, say, the medical industry (you want to be a doctor, so you go to medical school, do a residency, and so on). It makes it a bit harder when it comes to designing the perfect resume. The good news, however, is that there are a few basics that music business employers like to see from their applicants, and highlighting these things on your resume can help you shine during the interview process. 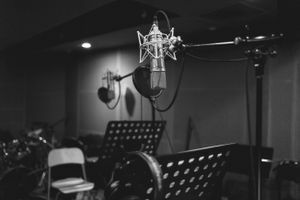 Experience: It's not so unusual for an employer in any field to be big on experience, but in the music industry it can be a really big deal. That doesn't necessarily mean that, say, a booking agency is expecting to find an entry-level employee prepared to book 45 date tours in Asia (though if you can do it, your odds of getting that job just went up rather substantially). What it does mean is that you've had some exposure to the music industry, so you have a basic understanding of how the whole thing fits together. A constant battle faced by employers involves the misconceptions applicants have about what life in the music industry is really like. A resume that demonstrates experience also demonstrates that you get the basic framework and that you understand a job in the music industry is a job. How do you get experience before you get a job? Music industry internships are an excellent way to get started. And, the only thing stopping you from generating your opportunities within the industry is, well, you. Find some musician friends and help them in a quasi-manager role. Book a show at a local club. Start a music blog. The possibilities are endless, and your initiative will be looked on very kindly by potential employers. Reliability: You've no doubt been told countless times that it doesn't look good to have a resume that shows that you have jumped from job to job. That holds as true in the music industry as in any other industry, maybe even more so. Why? As previously stated, most music employers have been through the wringer with employees who thought they were being hired to do this amazingly fun job that would involve little more than hanging out with musicians and living the good life. These employees tend to find out just how much work is expected (and that, say, filing papers are not really any more glamorous in the music industry than any other) and then hit the road looking for new pastures (repeat process ad nauseam). If your resume demonstrates that you hold on to your jobs and don't cut and run at the thought of a little hard work, then potential employers will be much interested in taking a chance on you. List of Music-Related Accomplishments: This one goes back to the idea of experience: be sure to include a section on your resume where you can list your relevant accomplishments that aren't included in other sections of your resume. Did you plan a sellout show for a friend's band? Are you a musician who plays regularly yourself? Did you run a successful local press campaign for your release or someone else's? Have you attended music industry trade shows? Anything you can do to show you're interested in the industry and have taken the initiative to get some experience under your belt can help you. Relevant Education: Do you need a degree to work in the music biz? It depends. Some employers will really, really care about a degree, and some really, really won't. Either way, you should always highlight relevant classes you have taken to let a prospective employer know that you're bringing some specialized knowledge to the table. Music classes, marketing classes, music business classes - these things all count. Take a look at a resume example written for a job in the music industry. You may download the Word template by clicking on the link below. Reliable and creative music industry professional with promotion, management, and booking experience. Adept at managing every aspect of putting on a show, from negotiating deals to booking venues to promoting gigs. I worry about the details so the performers can focus on the fun stuff. Secure performers for annual spring music festival. Manage all aspects of booking and promotion, including permitting, ticket sales, flyer design, and social media promotion. Founded and managed award-winning local music festival on a shoestring budget. Created a viral social media campaign that led to local radio and TV coverage and double the expected crowd size (which we were successfully able to accommodate). Managed multiple projects on tight deadlines at a boutique PR firm. Created fact sheets, media blasts, and social media campaigns. Wrote press releases and press kits for emerging artists and acts. Consistently praised for can-do attitude and ability to juggle many tasks at once. Music industry employers aren't so different from other employers — they're looking for reliable employees with the knowledge and skill set required to do the work they need to be done. Make your music experience shine on your resume, and you'll catch the eye of music industry employers.